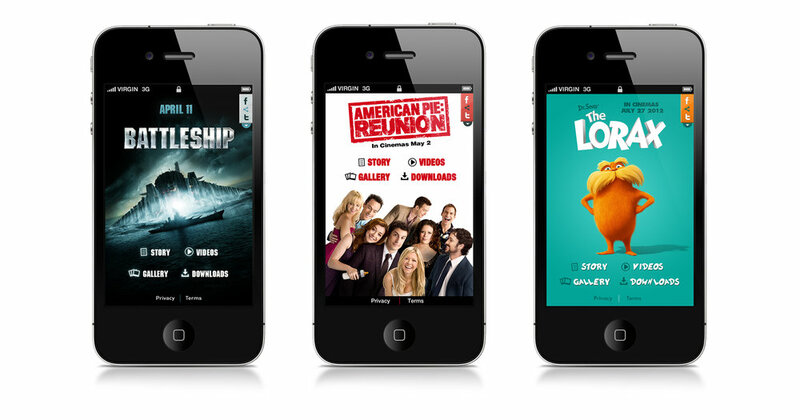 Series of three apps designed for iPhone and Android smartphones for the films: American Reunion, The Lorax and Battleship. These were the very first mobile apps I ever designed, and kick-started the mobile/web focus that the rest of my career has followed. They were designed whilst working at at Net Mobile - a small mobile app and web agency in London. The apps were used as marketing vehicles for each film. All were designed for the UK, Spanish, Italian, German, French & Mexican markets. I was the sole designer in the agency, and worked closely with the developers and the account manager. I was also involved in liaising with the client in America, as well as the heads of marketing in all the other countries the apps were designed for. All three apps followed a similar structure and layout to streamline development. For each film our agency was supplied with a high-res Photoshop movie poster file, as well as other related assets. From these I designed the UI for each app - utilising the colours, and font styles set by the designers in America. I also designed two Android live wallpaper apps for Les Misérables and Pitch Perfect. 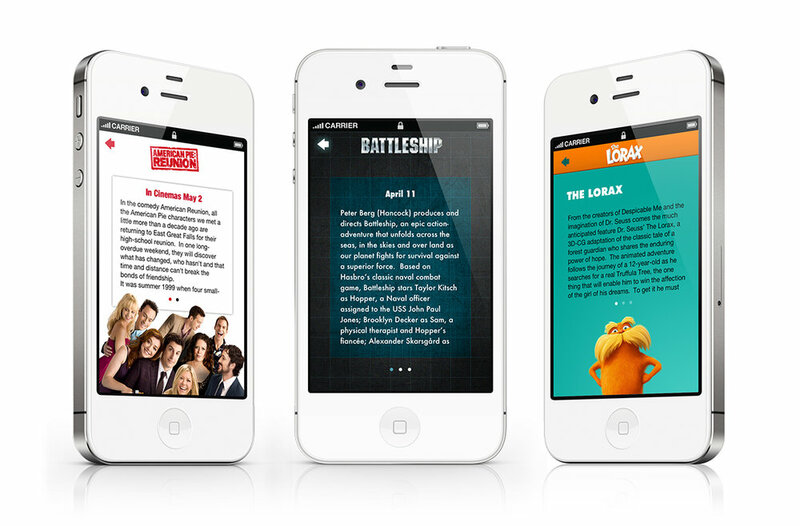 iPhone homescreens for the three apps: Battleship, American Reunion and The Lorax. 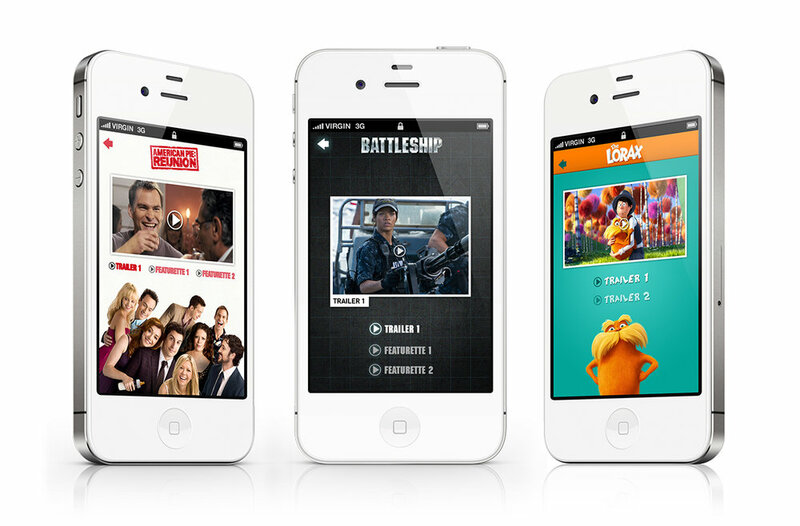 Android loading screens for the three apps: Battleship, American Reunion and The Lorax (in Spanish, Italian and German). App icons for the three apps. Each app came with branded mobile wallpapers. Here is the French version of the Battleship iPhone app. 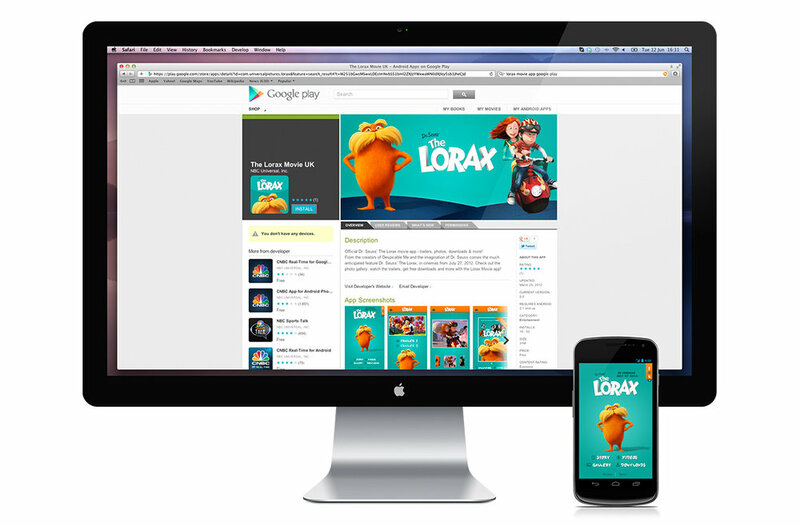 Google Play Lorax download screen. Apple app store Battleship download screen. Trailer screens for each of the iPhone apps. The Lorax downloads iPhone screen. A walkthrough video I made for my agency to showcase the three apps we built. Android app screens: Battleship story screen in Spanish, The Lorax story screen in French, and American Pie homescreen in German. 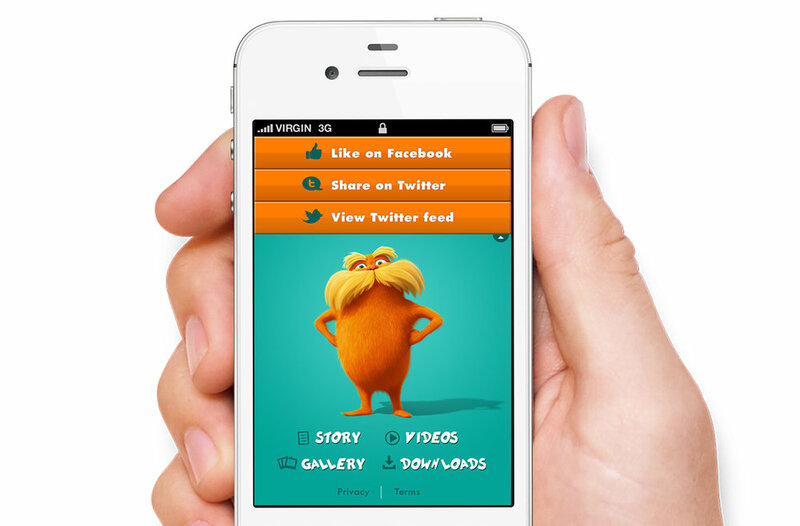 The Lorax: homescreen and social media drop-down menu for iPhone.